WPA 2.0, a nationwide architecture competition, symposium, and web-based exhibition, established a new paradigm where infrastructure became "Working Public Architecture"—a local asset and robust design opportunity. 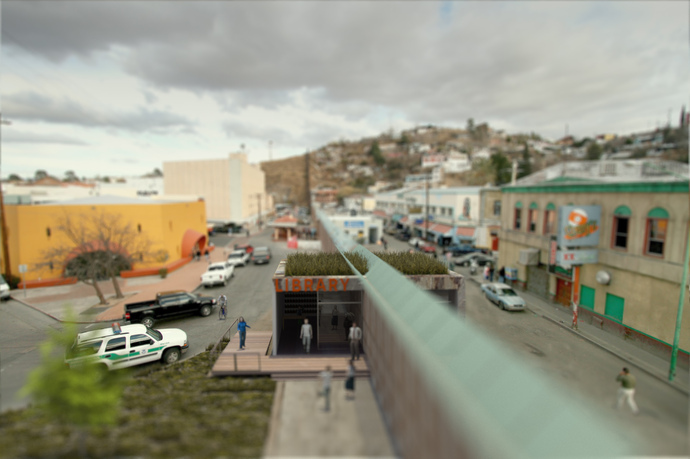 The next generation of the Works Projects Administration must generate innovative, implementable design ideas surgically integrated into existing communities to meet the challenge posed by current economic, infrastructural, and ecological crises. The WPA 2.0 architecture competition sought catalytic interventions that mediated the scale between the neighborhood and regional systems and that manage both demand and supply. Three linked production and dissemination strategies were supported: first, six competition finalists created animated visualizations that make intelligible complex ecological, economic, and social interventions; second, a web-exhibition increased the impact of WPA 2.0 by making it widely available, accessible to civic leaders, and long-lived; and third, public dialogue was initiated through a Washington, DC symposium. Dana Cuff holds her primary appointment in the Department of Architecture and a joint appointment in urban planning. She is the founding director of cityLAB, a research center at the University of California, Los Angeles, which explores the challenges facing the 21st-century metropolis through design and research. Cuff's work focuses on urban design, affordable housing, modernism, urban sensing technologies, and the politics of place. She has published widely on these topics, including the books Fast Forward Urbanism (coedited with Roger Sherman, Princeton Architectural Press, 2011) and The Provisional City (MIT Press, 2000), a project supported by both the Getty and the National Endowment for the Arts. Through cityLAB, Cuff has expanded her studies of infrastructure, postsuburban Los Angeles, and new formulations of green design, most recently through funded research about the urban design implications of a proposed high speed rail. She organized the design ideas competition called WPA 2.0: Working Public Architecture which attracted 400 submissions from students and design professionals around the world in 2009. She teaches various courses related to the profession of architecture as well as special seminars on cultural issues, architectural theory, and urbanism. cityLAB was initiated in 2006 with a generous gift from UCLA to support a series of projects concerned with contemporary urban issues, urban design, and the architecture of the city. Specifically, cityLAB was charged with exploring the challenges facing the 21st-century metropolis through research and design, expanding the possibilities for our cities to grow more livably, sustainably, and beautifully. cityLAB aims its investigations at rigorous scholarship as well as practical implication, design and theory, and formal exploration of cultural and political consequence. While cityLAB begins at UCLA, its charter grows outside the university and beyond Los Angeles as it pursues work in four areas: the post-suburban metropolis, rethinking "green," urban sensing, and urban infrastructures. UCLA Architecture and Urban Design (AUD), a leader on the international stage of contemporary architecture, is known for its powerful blend of avant-garde thinking and innovative design practice. Using the contemporary city as model, laboratory, and inspiration, students are given the means and vision to enter the current design culture as architects, urban thinkers, and future leaders of their profession. Suprastudio, AUD's post-professional MArch II degree program connecting research to professional practice, investigates the pressing issues of contemporary architecture and urbanism. In 2010–11, under the direction of Pritzker Prize–winner and UCLA distinguished professor Thom Mayne, Suprastudio is initiating an intensive research and design program focused on the resuscitation of the contemporary American city. The program serves as the foundation of an initiative to not only promote new spatial typologies, but to project beyond current models of urban inquiry to explore broader ideas of interdisciplinary participation and programmatic transformation.